« Herald News: FINALLY! “ENIGMA” is coming to BUDAPEST – 2019. “CELEBRATING 60 YEARS OF HITS – HIS WAY”! A worldwide renowned swing and jazz artist, Paul Anka leaves his audience on the edge of their seats as they listen to his lyrically supreme and smooth voice. 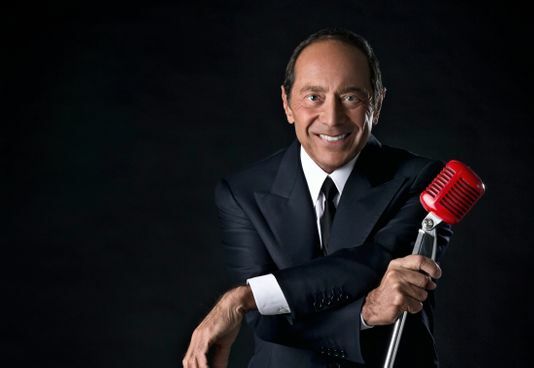 One of the most versatile songwriters and singers in the world, Paul Anka will give a concert this summer in Budapest. The Canadian-born star, “CELEBRATING 60 YEARS OF HITS – HIS WAY”, will perform on Wednesday, July 17, 2019, 8 p.m. at the Papp László Budapest Sports Arena. As a teen musician in the 1950s, Anka befriended Holly. After Holly’s death in a 1959 plane crash, his recording of the Anka-written song “It Doesn’t Matter Any More” became a posthumous Top 20 song. The list of musicians who worked directly with Buddy Holly, Frank Sinatra, Michael Jackson, and Drake is very short. At the concert we get a summary of the work of the last sixty years, where we can take part in on a great journey through music and songs from that last century! The artist’s name is very well-connected to a generation hits such as “Diana”, “My Way”, “You’re Having My Baby”, “Don’t Like To Sleep Alone” or “Times of Your Life”. Even to this day, Anka’s songs are often solemn at various events. During the concert many more of his hit can be enjoyed. Towards the end of the sixties he wrote the song for Sinatra “My Way” and the music world, even to this day, Anka’s song was made known to the world by Sinatra performance. In the 1970s, new hits were born: “(You) Having My Baby,” “Don Like To Sleep Alone”, and “Times of Your Life” – a place where the pop music became an idol. That would be fabulous to see, for all those who attend make sure he sings ” Put your head on my shoulder “……A great song from a great performer is all you can ask for. … “Hold me in your arms …BABY” … gosh was still with frekels… yet waiting for someone whom I could put my head on his shoulder … not even a teenager … bruings back a bunch of memories:-))) Deeply loved this one!